Designed to contain fuel during tank filling operations. The pre-piped fill box is available in 2" and 3" models. 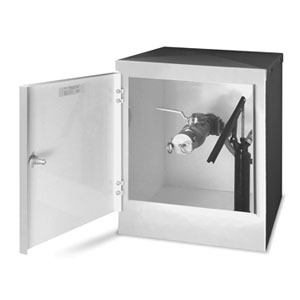 Equipped with an overfill pump, shutoff ball valve, and lockable door. Designed to contain fuel spillage during tank filling operations.